After the election I received a provocative letter from my friend and mentor Bill Connolly, Krieger-Eisenhower Professor of Political Science at Johns Hopkins and author of Aspirational Fascism: The Struggle for Multifaceted Democracy under Trumpism. Bill has had a long and distinguished career in academia—and in activism. As a graduate student at Michigan he helped organize the first Vietnam teach-in, and in 1972 he joined a group of scholars and activists—including the president of Amherst College– in a sit -down strike at Westover Air Force Base . He has asked that this letter be spread widely and he invites comments and suggestions. In the text below I have bracketed my own additions, and I end the column with some preliminary thoughts regarding what to do next. If any of these thoughts move you, please circulate and discuss. We must today be insistent, public, willing to engage in repetition, honest in our vigilance, and nonviolent. It is also time for us to become better wordsmiths. Hence the phrase Fasclican Party. It has demeaned the moderate wing of the Republican Party and left it in ruins, even though that Party helped to pave the way for it. Fasclicans are extremely ruthless, dishonest and dangerous. They are trying to intimidate the Democratic House even before it convenes. Today, I am very interested in hearing views about how else to proceed in the aftermath of an election in which a majority probably voted for Democrats but only gained a few seats in the House and lost the Senate. What should we be doing? Now that the election is over we should give more support and visibility to democratizing movements already under way. After a generation during which the strike became virtually extinct, a few have resumed and have borne fruit while others are underway. That Arkansas and Missouri could pass minimum wage increases suggests that the climate is ripe for labor activism. The polls on respect for unions suggest this as well. And much of the push for some of these strikes has come from the rank and file. These trends send a mixed message. Perhaps some of our time should be spent in support of efforts to democratize unions. Talk about Medicare for all and hold hearings on it. Centrist Democrats resist the idea, but grass roots Democrats can push their representatives and insist that Medicare for all must receive its day in court, so to speak. Call witnesses who can explain the cruel business model of the health insurance industry When HRC was assigned the job of remaking health care she refused even to consider or debate so called single payer. In one way 2016 was her just reward. How about a modern day Pecora hearings about the size, power, and financial recklessness of the big investment banks. Concentration in the financial industry has grown since the global financial crisis. Talk about how we don’t need another bailout, a policy that still rankles many working class Americans. Expose the financial connections between the big banks and the fossil fuel industry .Talk about the role of debt in the American economy. If we can bail out the banks, why not debt forgivness fot student loans? Talk about how banks received slaps in the wrist fines and no time in jail. A majority of the Democrats don’t need to and won’t endorse these ideas but if enough momentum inside and outside the party is achieved centrist leaders will have to at least open up some opportunity to present these ideas. They can’t successfully stonewall a chorus from outside and inside the beltway. 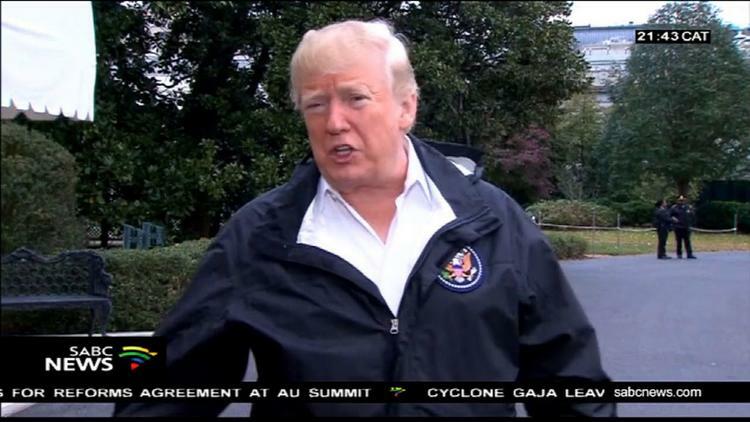 Challenge and boycott the mainstream media for failure to expose Trump’s lies on climate change, I am tired of weather forecast that breathlessly describe” hundred year floods” while saying nothing about the role or climate change. And rather than collapse in fear lets talk about the ways a Green New Deal might begin to address inequality and the climate crisis. The closest the Weather Chanel came to discussing a constructive response to climate was in commercials for generators., a perfect symbol of private solutions displacing possible public responses. Many citizens are immobilized because in part they are presented with no alternative and even no sense of a community willing to face these dangers. Activists should warn our fellow citizens about their likelihood of environmental, financial, and/or health crises. But they should do that in the context of two other concerns. The fasclicans plan to use these traumas as an occasion to further tighten the noose around democracy. Articulate this danger ahead of time—especially as we construct and enact policies and practices to reduce the dangers. Never miss a chance to reiterate Alexandria’ Ocasio-Cortez’s New Golden Rule as antidote to and replacement of the rule of gold. Anyone that was cool with the GOP inventing $2 trillion out of thin air for freebies for people with yachts that have tiny yachts inside doesn’t get to demand how we pay for people who need chemotherapy treatments.